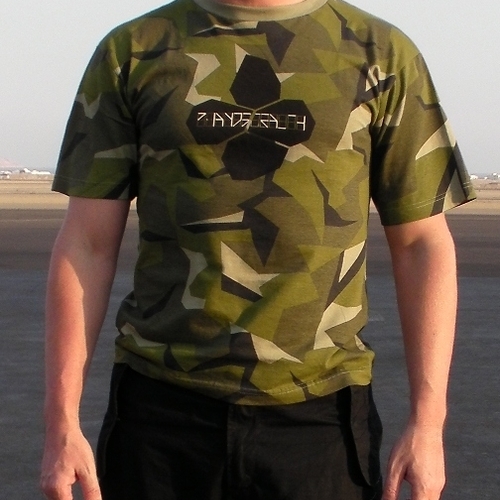 Remaining copies of the camo T-shirt sold at Reunion 2009 shows. 100% military cotton. Short cut, regular fit.